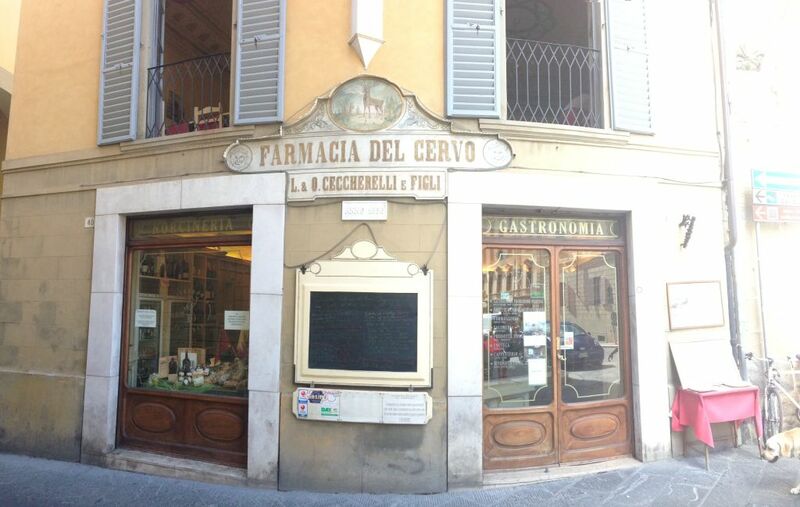 Whether you stay in Arezzo for a few days or you just stop by, you can’t miss a quick stop at Farmacia del Cervo. 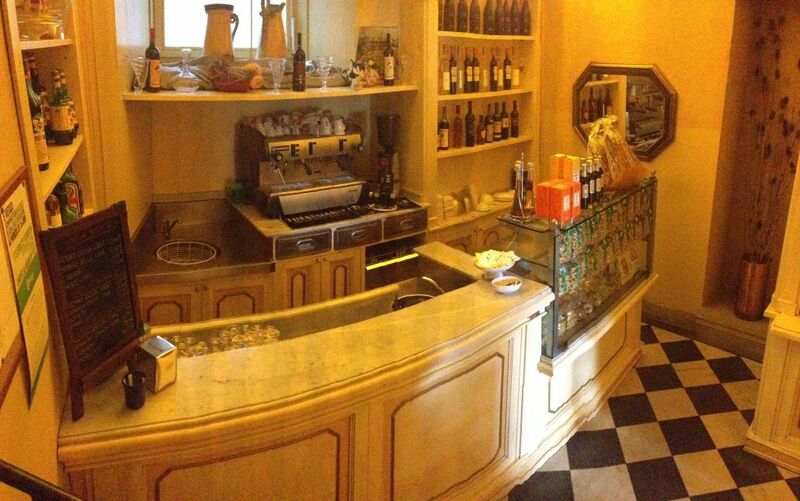 If you can speak Italian and you understand what the word farmacia means, don’t worry, we are not recommending you to go to the doctor and get some medications, but we suggest you to have a meal by this restaurant/food store, which is placed in the building, where a pharmacy was formerly placed! It’s definitely unique the choice to keep the name of the pharmacy, rather than changing it with words related to food! The store/restaurant also keeps the old sign and some furniture from the pharmacy, which makes the atmosphere very different. We arrived at the restaurant quite late, actually, it was 3pm and they were closing down for the afternoon break. Yet, the owner was very understanding and polite, since he advised us that we couldn’t have a hot meal because the kitchen was already closed, but he wouldn’t let us go without eating, so he offered us to have some amongst his cold dishes selection. 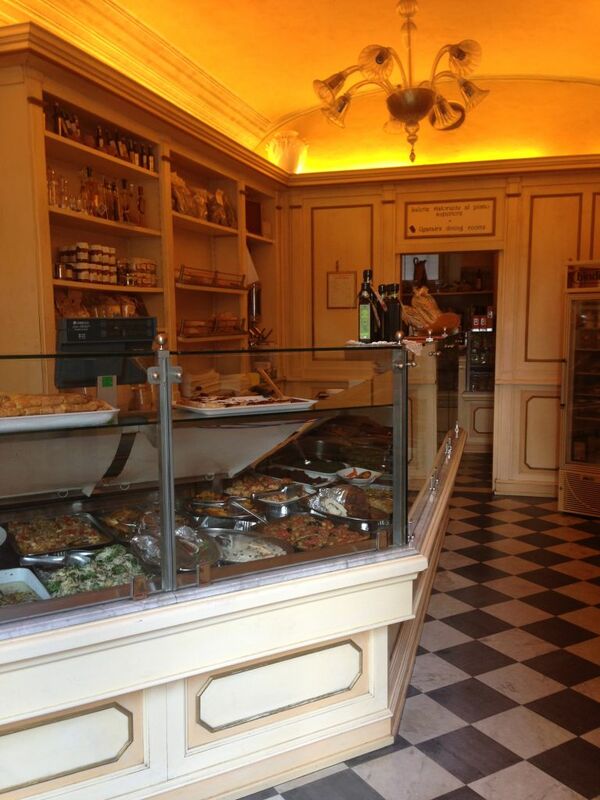 He truly apologized for the inconvenience and because he had not that much to offer us….there were approximately 50 cold dishes to choose amongst! 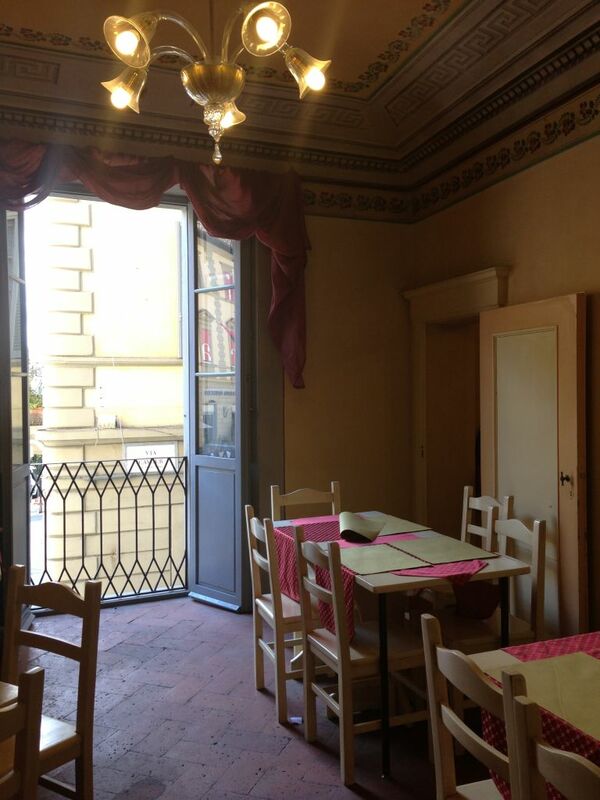 He suggested us a few typical dishes in his selection and we had a seat in the nice and characteristic room upstairs, where the care for details is undeniable. 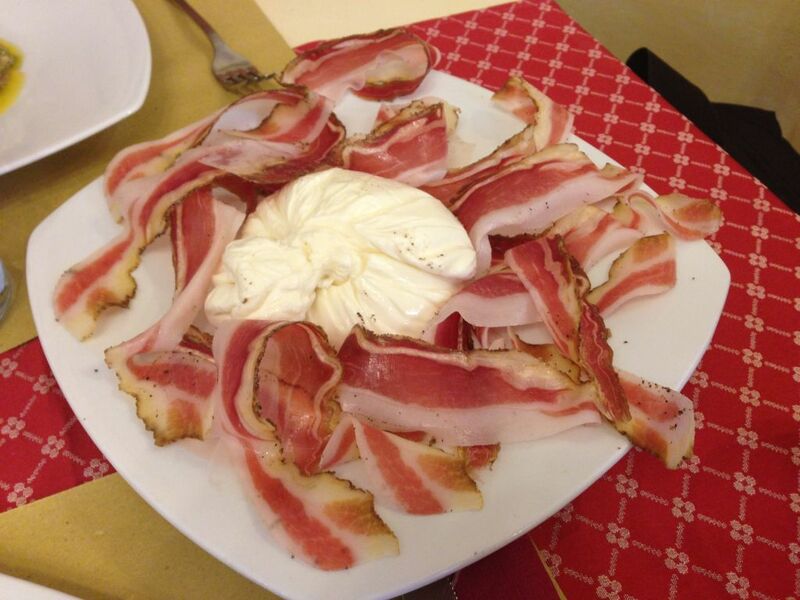 - Burrata with chuck ham. Burrata is a kind of semi-soft fresh cheese and, since it’s a typical product from the south of Italy, they have it sent directly from region Apulia. Chuck ham, on the other hand, is characteristic from region Tuscany and the taste is something in between ham and bacon. The combination of sweet cheese and salted ham is just superb! 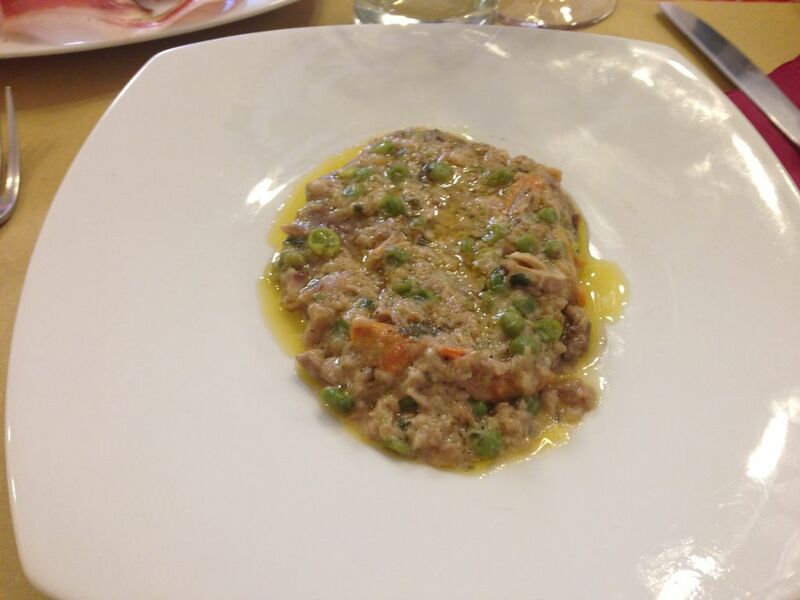 - Beef with mushrooms, carrots and peas: a real delicacy, very tasty and the meat was extremely soft, though it was a cold meal. 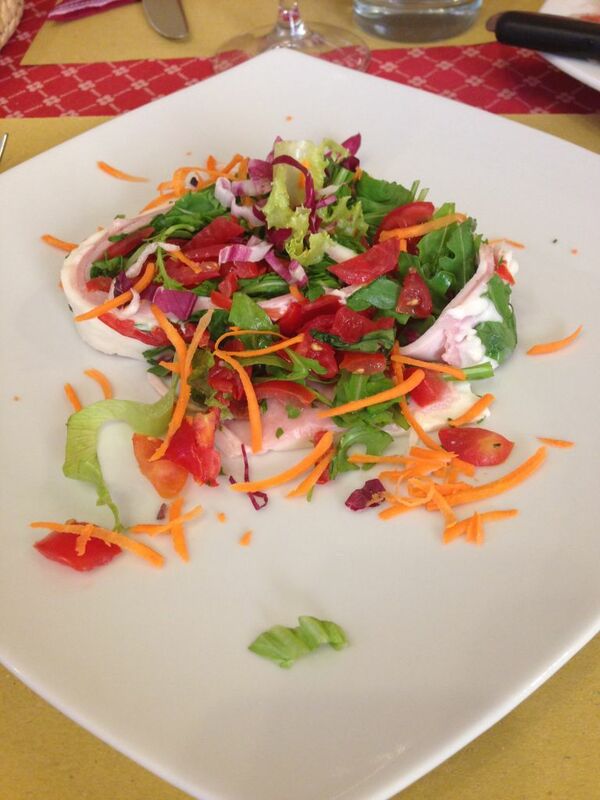 - Buffalo mozzarella roll with baked ham, served with vegetables. Extremely tasty and fresh, perfect as a summer meal, especially if you dress it with a pinch of salt and some drops of Tuscan olive oil. We enjoyed our meal in a very cozy and friendly environment, where the whole staff made sure we could enjoy a perfect food experience, despite time was running out and we couldn’t choose amongst all their dishes. By the end of the day, if that was the quality of cold meals, we can’t imagine how hot dishes may be! We’ll definitely go there again to check! 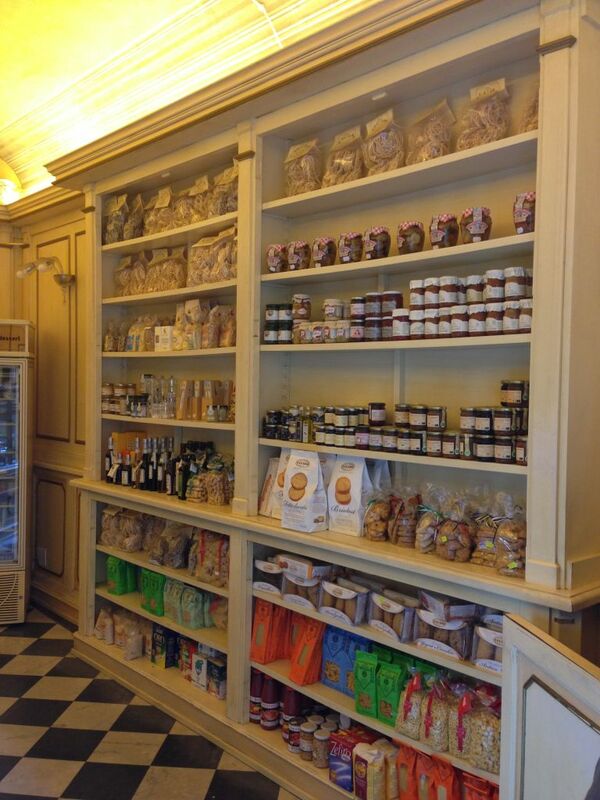 Farmacia del Cervo also offers you a wide selection of typical Italian products like salame, ham, cheese, sauces and so on. 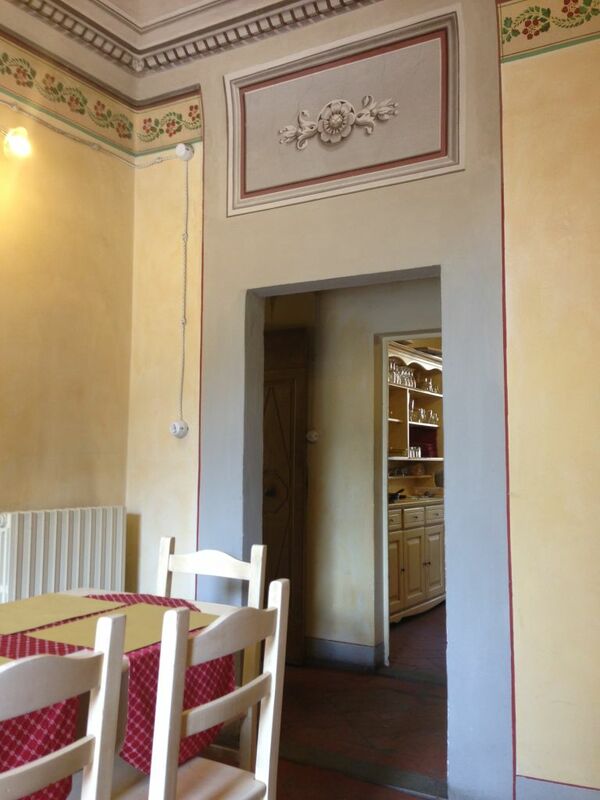 They also sell take-away food: formerly cooked dishes, that you can buy and eat at home.